Sport muffler with exhaust flaps, vibration decoupling, heat protective coating, design end tips, double-walled 2 x, stainless steel construction. 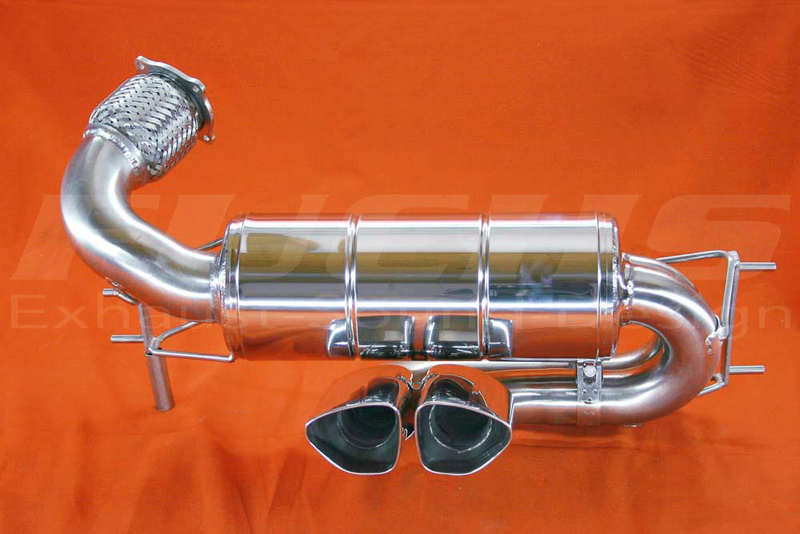 Sport muffler without exhaust flaps, vibration decoupling, heat protective coating, design end tips, double-walled 2 x, stainless steel construction. 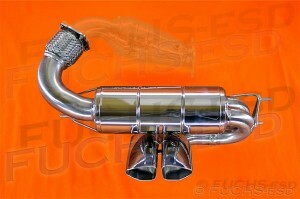 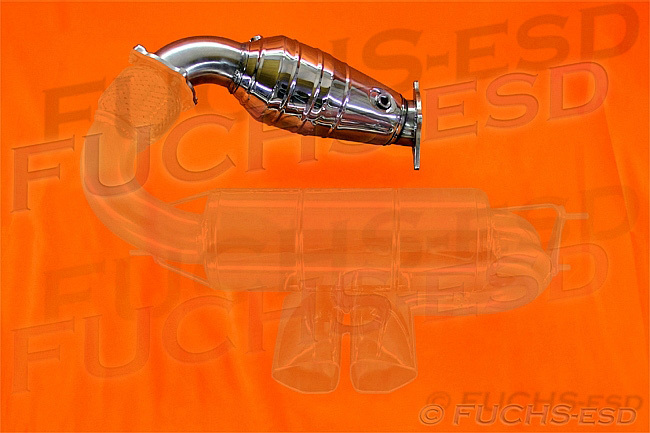 Sport catalytic converter with 100-cells motorsport monolyth, heat protective coating, stainless steel construction. 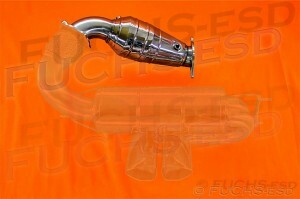 Sport catalytic replacement pipe, stainless steel construction. 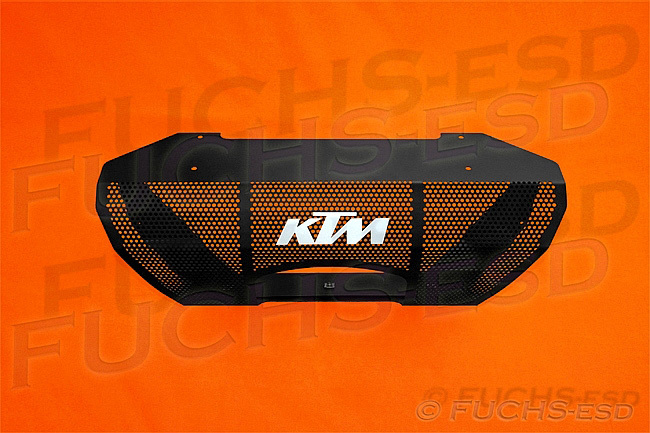 Final grid, Alu black coated, with KTM Logo.